Starting your own company comes with a lot of responsibility. One of the most vital and first steps in the process usually involves sound financial planning. 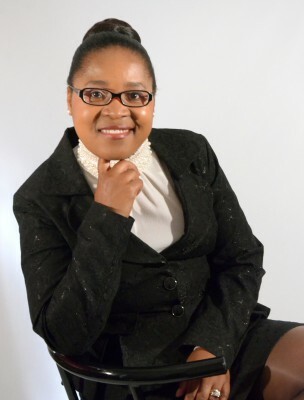 But as author Precious Mvulane explains, few start-ups thoroughly understand their own finances. 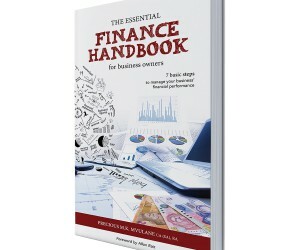 To address this need, Mvulane has put together The Essential Finance Handbook for Business Owners. In an exclusive with BBQ, she shares some her ideas and insights behind the book and why this piece of literature is of particular importance in a budding entrepreneurial environment. 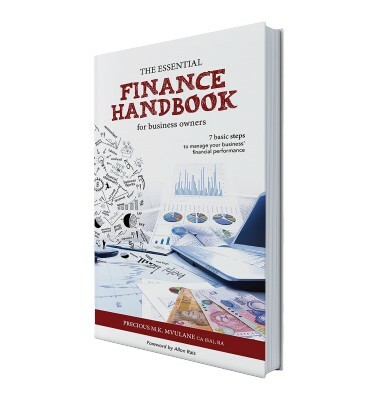 What initially prompted you to write The Essential Finance Handbook for Business Owners? It was two main reasons: I was frustrated having to explain myself over and over on same issues which indicated that business owners lack understanding of finance and implications of their decisions. And I wanted to share what I have learnt at lowest possible costs, it was clear that there were very few books in finance written in layman terms. Tell us more about your own experience in the finance industry that has led to your insights you share in the book? Every decision you make in business is a financial decision. Finance is a result on how you are doing in all areas of your business. You cannot manage your business by compliance but by being actively involved in managing performance to build your business. If your business’ financial performance is not what you want or expect, it is just an indication that there are things that are not working in your business. Finance or money principles can be learnt because it make sense and logic; it is not science. Directors who understand the above principles make informed decisions and manage financial risks better. You have said before that you enjoy being an author because it enables you to provide knowledge to the public. How much need is there, especially for small businesses, to have a better financial know-how about their own affairs? The need is so big I cannot even explain it. The reasons for failure in our lives is not lack of information. We have the Internet and social media, but people don’t go to the platforms to look for knowledge. Furthermore, information that is available is not pitched at the right level for the person to absorb and implement. Knowledge must be relevant and practical to the environment. Once you have knowledge, you are empowered to make informed decisions. Tell us why you believe that developing small business owners should run and manage their businesses will contribute positively to the South African economy? Because 91% of businesses in South Africa are small businesses and surely if we make small business more stable, our economy will improve. We have new problems that did not exist at this scale 30 years ago. We need new innovation, ideas and approaches. We are no longer in the industrial economy but, but in a knowledge economy. We need to reform and review how we solve problems. This can only be done by entrepreneurs who dare to solve problems and see opportunities where big businesses are stuck on old knowledge and stuck on old ways. If there is one thing that you hope readers would take from this book, what would it be? Finance is a result, it can be learnt like anything in life. You can build a sustainable business if you start small in building systems to manage different risks in your business.